Ibrahim Al Jarwan, deputy director general of the Sharjah Center for Astronomy & Space Sciences, made the announcement, saying: "The new moon of the Holy Month of Ramadan is to be 'born' on Tuesday, May 15 around 3.48 pm UAE time, and disappears two minutes before sunset of the same evening." It is impossible to see the new moon after the sunset in the UAE, he added. "It shall remain visible for one hour and 16 minutes at sunset." However, the new moon shall for sure be visible after the sunset of Wednesday May 16, he stated. "As such, Thursday, May 17, shall be the first day of Ramadan as per the astronomical calculations." The fasting period will last 13.25 hours at the beginning of Ramadan, he noted. "Fasting hours shall then increase to 13.42 hours and reach 15 hours by the end of the month." 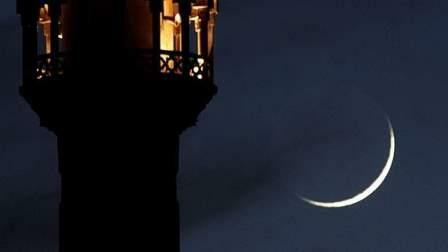 The new moon of the lunar month of Shawwal that follows Ramadan is expected to appear on Wednesday, June 13 at around 11:43pm UAE time, he underlined. "It shall be monitored after the sunset of Thursday, June 14, and be definitely seen on Friday, June 15, and that will be the first day of Eid Al Fitr as per the astronomical calculations." Al Jarwan said the temperature is expected to be around 41°C during June, while the minimum temperature is expected to reach 26. "The region shall be affected by hot winds every 10 days to 14 days, with temperatures going up to 3-5 degrees above normal for 2-5 days during the summer months from June to the end of August."